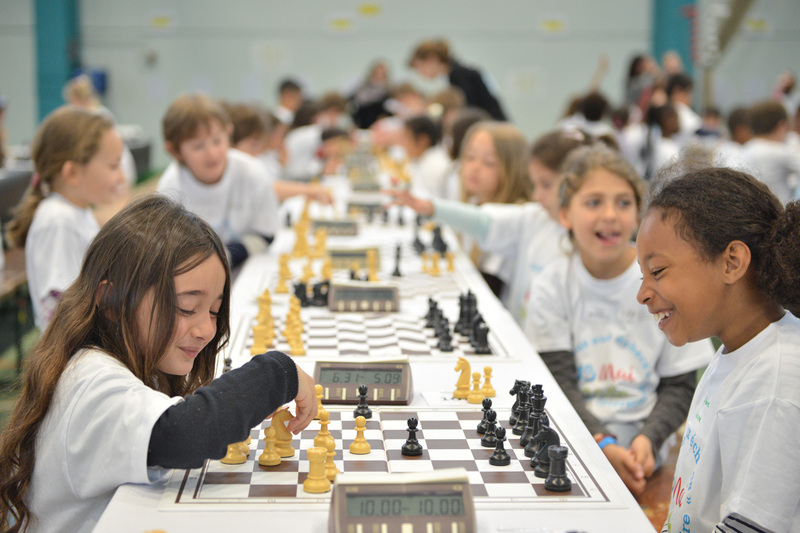 The 2016 edition Tous aux Echecs gathers 1'200 children in a friendly atmosphere in Bout-du-Monde! 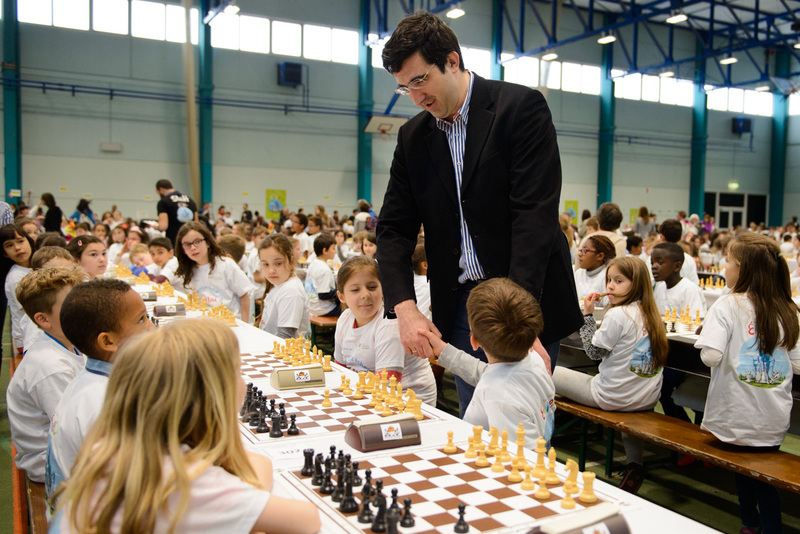 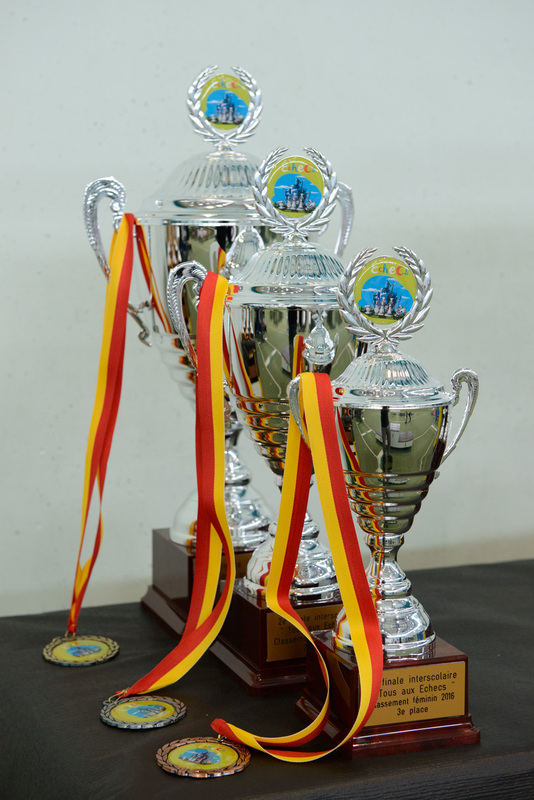 The 2nd edition of the school tournament “Tous aux Echecs” oeganised by Neva Foundation celebrated its young champions in presence of the Grandmaster Vladimir Kramnik. 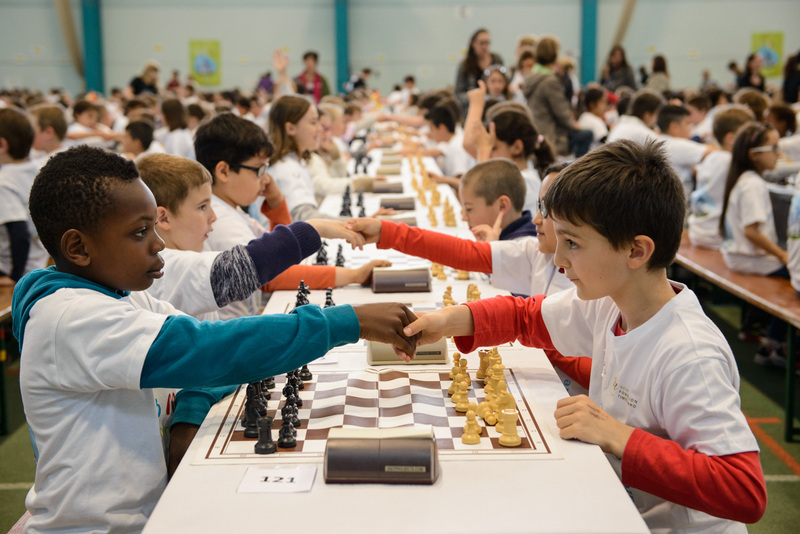 1’200 children 4P, 5P and 6P met in a friendly, passionate and competitive atmosphere at the Pavillon Sportif in Bout-du-Monde. 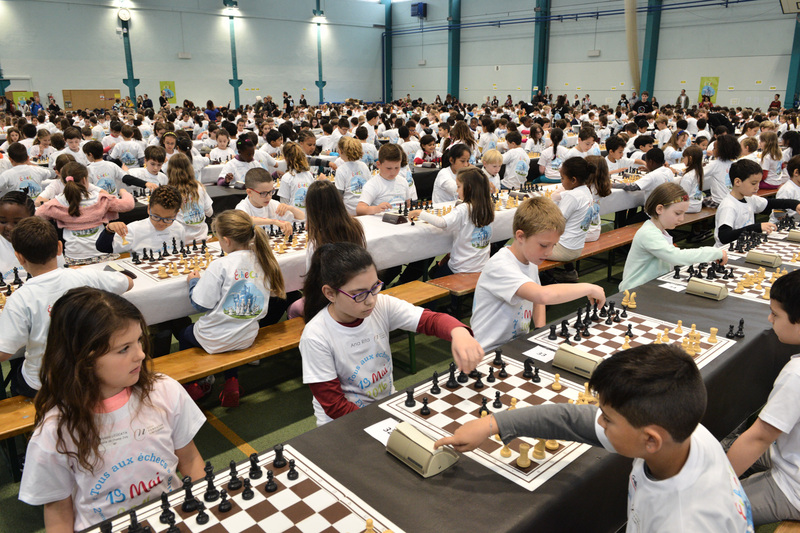 Fifty-two classrooms participating to the chess in school program “Tous aux Echecs of Neva Foundation, in collaboration with DIP, came over with teachers and parents to participate to this unique event in Europe. 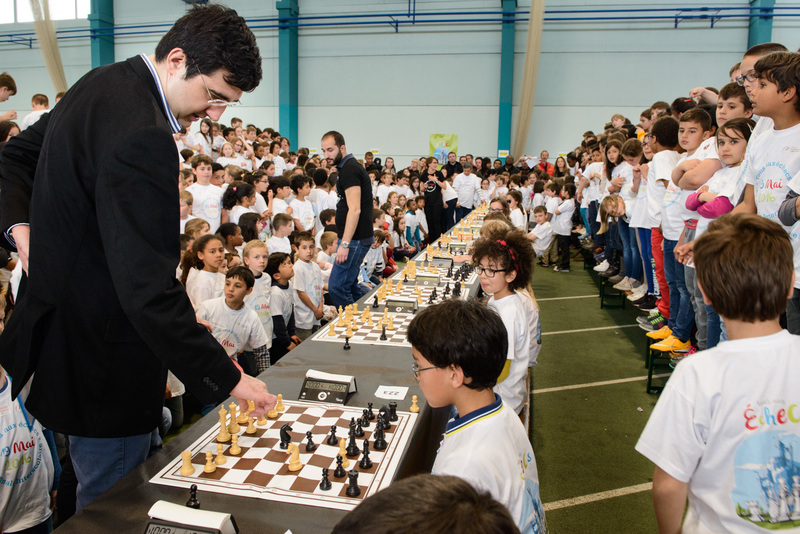 All children played five games, followed by a in a simultaneous exhibition where 15 lucky pupils got picked by drawing of lots, to play against Vladimir Kramnik, actual World number 2 and former World champion from 2000 to 2007. 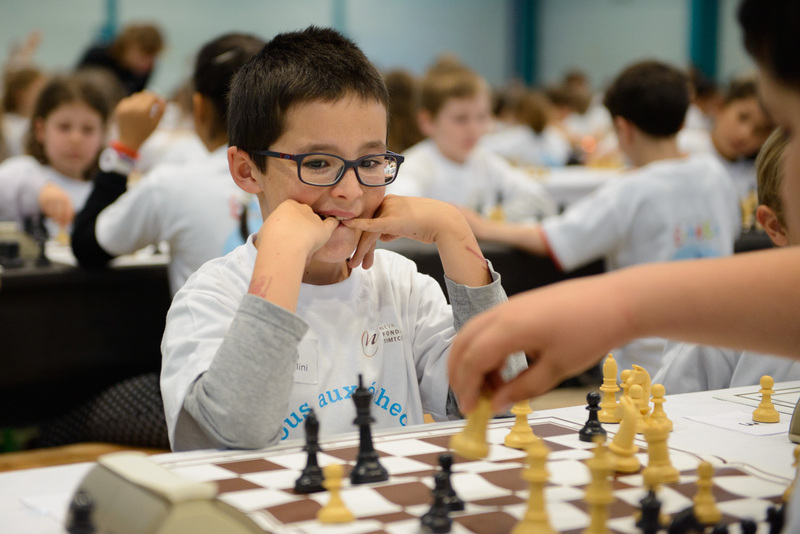 A one-life occasion for those chess beginners!